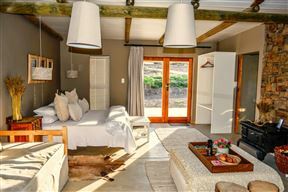 Karoo Cottage, Loxton Best Price Promise! 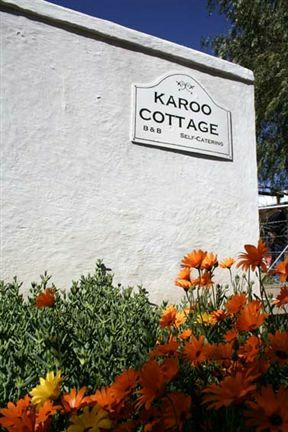 Karoo Cottage offers air-conditioned accommodation in the pretty village of Loxton on a self-catering or B and B basis. Enjoy a tranquil stay in our quiet hamlet where the night skies are stunning, the air is wonderfully fresh, there&apos;s no crime, and you&apos;re surrounded by endless space. Experience true peace-of-mind. Northern Cape info supplied. We look forward to meeting you. 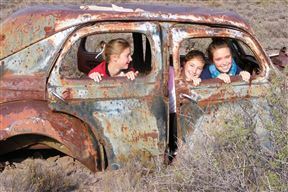 Nestled among the beauty of the Upper Karoo lies Die Rooi Granaat. 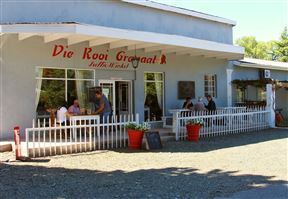 Offering great amenities in Loxton, the guest house also has a restaurant on site. 4 Seasons Guest House, Loxton Best Price Promise! 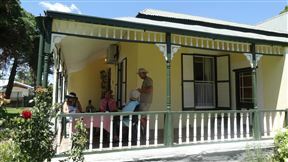 Welcome to the 4 Seasons Guest House in Loxton, a small, quaint Karoo arboreal village with many of its streets lined with cypresses, pear, pepper and beefwood trees. Come take off your shoes and come experience the beauty of the Nuveld mountain; at Sakrivierspoort Guest Farm, you can experience a true farm holiday.